The Commonwealth of Puerto Rico, (Spanish: Estado Libre Asociado de Puerto Rico, IPA [esˈtaðo ˈlibɾe asoˈsjaðo de ˈpweɾto ˈriko]), also Porto Rico ( archaic) and more commonly Puerto Rico, is a United States territory with Commonwealth status located in the northeastern Caribbean, east of the Dominican Republic and west of the Virgin Islands. The archipelago of Puerto Rico includes the main island of Puerto Rico, the smallest of the Greater Antilles, and a number of smaller islands and keys, the largest of which are Mona, Vieques, and Culebra. The nature of Puerto Rico's political relationship with the United States is the subject of ongoing debate in the island and also in the United Nations. Those who support maintaining the status quo (i.e., Commonwealth status) insist that upon attaining this status, Puerto Rico entered into a voluntary association with the U.S. "in the nature of a compact", but according to a President's Task Force report, Puerto Rico is an unincorporated organized territory of the United States, subject to the plenary powers of the United States Congress and with the "right to establish a constitution for the internal administration of government and on matters of purely local concern". The history of the island of Puerto Rico prior to the arrival of Christopher Columbus is not well understood. What is known today comes from archeological findings and from early Spanish accounts. The first comprehensive book on the history of Puerto Rico was written by Fray Iñigo Abbad y Lasierra in 1786, 293 years after the first Spaniards arrived on the island. The first indigenous settlers of Puerto Rico were the Ortoiroid, an Archaic age culture. An archeological dig in the island of Vieques in 1990 found the remains of what is believed to be an Arcaico (Archaic) man (named Puerto Ferro man) which was dated to around 2000 BC (4000 years ago). Between 120 and 400 AD, the Igneri, a tribe from the Orinoco region, arrived on the island. Between the 7th and 11th century the Taíno culture developed on the island and by approximately 1000 AD, the Taíno culture had become dominant, a trend that lasted until the arrival of the Spanish in 1493. When Christopher Columbus arrived at Puerto Rico during his second voyage on November 19, 1493, the island was inhabited by a group of Arawak Indians known as Taínos. The Taínos called the island "Borikén" or "Borinquen". Columbus named the island San Juan Bautista, in honour of Saint John the Baptist. 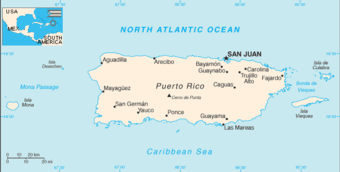 Later the island took the name of Puerto Rico (English: Rich Port) while the capital was named San Juan. In 1508, Spanish conquistador Juan Ponce de León became the island's first governor to take office. The island was soon colonized by the Spanish. Taínos were forced to work for the Spanish crown but were soon extinguished by diseases brought by the Spaniards and the harsh conditions in which they were forced to work. African slaves were introduced as labour to replace the decreasing populations of Taíno. Puerto Rico briefly became an important stronghold and port for the Spanish Empire in the Caribbean. Colonial emphasis during the late 17th - 18th centuries, however, focused on the more prosperous mainland territories, leaving the island impoverished of settlers. Because of concerns of threats from European enemies, over the centuries various forts and walls, such as La Fortaleza, El Castillo San Felipe del Morro and El Castillo de San Cristóbal, were built to protect the port of San Juan. The French, Dutch and English made several attempts to capture Puerto Rico but failed to wrest long-term occupancy of the island. In 1809, while Napoleon occupied the majority of the Iberian peninsula, a populist assembly based in Cádiz recognized Puerto Rico as an overseas province of Spain with the right to send representatives to the Spanish Court. The representative Ramon Power y Giralt died soon after arriving in Spain. These constitutional reforms were reversed when autocratic monarchy was restored. Nineteenth century reforms augmented the population and economy, and expanded the local character of the island. After the rapid gains of independence by the South and Central American states in the first part of the century, Puerto Rico and Cuba became the sole New World remnants of the large Spanish empire. Toward the end of the 19th century, poverty and political estrangement with Spain led to a small but significant uprising in 1868 known as "El Grito de Lares". The uprising was easily and quickly crushed. Leaders of this independence movement included Ramón Emeterio Betances, considered the "father" of the Puerto Rican nation, and other political figures such as Segundo Ruiz Belvis. Later, another political stronghold was the autonomist movement originated by Román Baldorioty de Castro and, toward the end of the century, by Luis Muñoz Rivera. In 1897, Muñoz Rivera and others persuaded the liberal Spanish government to agree to a Charters of Autonomy for Cuba and Puerto Rico. The following year, Puerto Rico's first, but short-lived, autonomous government was organized. The charter maintained a governor appointed by Spain, who held the power to annul any legislative decision he disagreed with, and a partially elected parliamentary structure. On July 25, 1898 at the outbreak of the Spanish–American War, Puerto Rico was invaded by the United States with a landing at Guánica. Following the outcome of the war, Spain was forced to cede Puerto Rico, along with Cuba, the Philippines, and Guam to the United States under the Treaty of Paris (1898). Puerto Rico began the twentieth century under the military rule of the United States with officials, including the governor, appointed by the President of the United States. In 1917, the Jones-Shafroth Act extended the U.S. citizenship on Puerto Ricans, a status they still hold today. Many Puerto Ricans served in the U.S. Armed Forces beginning in World War I. Natural disasters and the Great Depression impoverished the island. Some political leaders demanded change; some, like Pedro Albizu Campos, would lead a nationalist (The Puerto Rican Nationalist Party) movement in favour of independence. He served many years in prison for seditious conspiracy to overthrow the U.S. Government in Puerto Rico. Luis Muñoz Marín initially favored independence, but saw a severe decline of the Puerto Rican economy, as well as growing violence and uprisings and opted to create the "commonwealth" option instead. Change in the nature of the internal governance of the island came about during the later years of the Roosevelt–Truman administrations, as a form of compromise spearheaded by Muñoz Marín and others, and which culminated with the appointment by President Harry Truman in 1946 of the first Puerto Rican-born governor, Jesus T. Piñero. In 1947, the United States granted the right to democratically elect the governor of Puerto Rico. Luis Muñoz Marín became the first elected governor of Puerto Rico in the 1948 general elections, serving as such for 16 years, until 1964. Starting at this time, there was heavy migration from Puerto Rico to the mainland of the United States in search of better economic conditions. In 1945 there were 13,000 Puerto Ricans living in New York City; by 1955 there were 700,000, and by the mid-1960s there were over a million. On November 1, 1950, Puerto Rican nationalist terrorists Griselio Torresola and Oscar Collazo attempted to assassinate President Harry S. Truman. Subsequently, the Truman Administration allowed for a democratic referendum in Puerto Rico to determine whether Puerto Ricans desired to draft their own local constitution. Puerto Rico adopted its own local constitution in July 25, 1952 which adopted the name of "Estado Libre Asociado" (Free Associated State), translated into English as Commonwealth , for the body politic and which continues to denote Puerto Rico's current relationship with the United States. During the 1950s Puerto Rico experienced a rapid industrialization, due in large part to Operación Manos a la Obra (" Operation Bootstrap") (an offshoot of FDR's New Deal) which aimed to industrialize Puerto Rico's economy from agriculture-based into manufacturing-based. Present-day Puerto Rico has become a major tourist destination and a leading pharmaceutical and manufacturing centre. Still, Puerto Rico continues to struggle to define its political status. Three locally-authorized plebiscites have been held in recent decades to decide whether Puerto Rico should pursue independence, enhanced commonwealth status, or statehood. Narrow victories by commonwealth supporters over statehood advocates in the first two plebiscites and indefinition by the Puerto-Rican electorate in the third has allowed the relationship between Puerto Rico and the United States government to remain unchanged. In the latest status referendum of 1998, the "none of the above" option won over Statehood, Commonwealth and Independence with 50.2% of the votes. Support for the pro-statehood party ( Partido Nuevo Progresista or PNP) and the pro-commonwealth party ( Partido Popular Democrático or PPD) remains about equal. The only registered independence party on the island, the Partido Independentista Puertorriqueño or PIP, usually receives 3-5% of the electoral votes, though there are several smaller independence groups like the Partido Nacionalista de Puerto Rico (Puerto Rican Nationalist Party), el Movimiento Independentista Nacional Hostosiano (National Hostosian Independence Movement), and the Macheteros - Ejercito Popular Boricua (or Boricua Popular Army). Puerto Rico consists of a main island of Puerto Rico and various smaller islands, including Vieques, Culebra, Mona, Desecheo, and Caja de Muertos. Of the latter five, only Culebra and Vieques are inhabited year-round. Mona is uninhabited through large parts of the year except for employees of the Puerto Rico Department of Natural Resources. There are also many other even smaller islands including Monito and "La Isleta de San Juan" known as Old San Juan. The mainland measures some 100 miles by 35 nautical miles (170 km by 60 km). It is mostly mountainous with large coastal areas in the north and south regions of the island. The main mountainous range is called " La Cordillera Central" (The Central Range). The highest elevation point of Puerto Rico, Cerro de Punta (4,390 feet; 1,338 m), is located in this range. Another important peak is El Yunque, located in the Sierra de Luquillo at the Caribbean National Forest, with a maximum elevation of 3,494 feet (1,065 m). The capital, San Juan, is located on the main island's north coast. Located in the tropics, Puerto Rico enjoys an average temperature of 28 °C (82.4 °F) throughout the year. The seasons do not change very drastically. The temperature in the south is usually a few degrees higher than the north and temperatures in the central interior mountains are always cooler than the rest of the island. The hurricane season spans between June and November. Puerto Rico has 17 lakes (none of them natural) and more than 50 rivers. Most of these rivers are born in the Cordillera Central. The rivers in the northern region of the island are bigger and with higher flow capacity than those of the south region. The south is thus drier and hotter than the north region. As of 1998, 239 plants, 16 birds and 39 amphibians/reptiles have been discovered that are endemic to the archipelago of Puerto Rico. The majority of these (234, 12 and 33 repectively) are found on the main island. The most recognizable endemic species and a symbol of Puerto Rican pride is the Coquí, a small frog easily recognized by the sound from which it gets its name. The Caribbean National Forest, also known as El Yunque, a tropical rainforest is home to the majority (13 of 16) of species of coquí. It is also home to more than 240 plants, 26 of which are endemic and 50 bird species, including one of the top 10 endangered birds in the world, the Puerto Rican Parrot. Puerto Rico is composed of Cretaceous to Eocene volcanic and plutonic rocks, which are overlain by younger Oligocene to recent carbonates and other sedimentary rocks. Most of the caverns and karst topography on the island occurs in the northern Oligocene to recent carbonates. The oldest rocks are approximately 190 million years old (Jurassic) and are located at Sierra Bermeja in the southwest part of the island. These rocks may represent part of the oceanic crust and are believed to come from the Pacific Ocean realm. Puerto Rico lies at the boundary between the Caribbean and North American plates and is currently being deformed by the tectonic stresses caused by the interaction of these plates. These stresses may cause earthquakes and tsunamis. These seismic events, along with landslides, represent some of the most dangerous geologic hazards in the island and in the northeastern Caribbean. The most recent major earthquake occurred on October 11, 1918 and had an estimated magnitude of 7.5 on the Richter scale. It originated off the coast of Aguadilla and was accompanied by a tsunami. The Puerto Rico Trench, the largest and deepest trench in the Atlantic, is located about 120 km (75 miles) north of Puerto Rico in the Atlantic Ocean at the boundary between the Caribbean and North American plates. The trench is 1,754 km (1,090 miles) long and about 97 km (60 miles) wide. At its deepest point, named the Milwaukee Deep, it is 8,380 m (27,493 feet) deep, or about 8.38 km (5.2 miles). Puerto Rico has sometimes been said to have a European ( Spanish) descent majority, an extinct Amerindian population, persons of mixed ancestry, Africans, and a small Asian minority. An analysis of blood groups and protein markers determined that the Puerto Rican gene pool was comprised of 45% European contribution, 37% African, and 18% Native American. A more recent study of mtDNA from 800 individuals found 61.1% as having Amerindian maternal mtDNA, 26.4% as having African maternal mtDNA, and 12.5% as having Caucasian maternal mtDNA. During the 1800s, hundreds of Corsican, French, Lebanese, Chinese, and Portuguese families, along with large numbers of immigrants from Spain (mainly from Catalonia, Asturias, Galicia and the Balearic Islands), the Canary Islands and numerous Spanish loyalists from Spain's former colonies in South America, arrived in Puerto Rico. Other settlers have included Irish, Scots, Germans, Italians, and thousands others who were granted land from Spain during the Real Cedula de Gracias de 1815 ( Royal Decree of Graces of 1815), which allowed European Catholics to settle in the island with a certain amount of free land. This mass immigration during the 19th century helped the population grow from 155,000 in 1800 to almost a million at the close of the century. A census conducted by royal decree on September 30, 1858, gives the following totals of the Puerto Rican population at this time, Whites 300,430 , Free colored 341,015, Slaves 41,736, Unclassified 127. More recently Puerto Rico has become the permanent home of over 100,000 legal residents who immigrated from not only Spain, but from Latin America as well. Argentines, Cubans, Dominicans, Colombians and Venezuelans can also be accounted for as settlers. The variety of surnames which exist in Puerto Rico suggests widespread immigration to the island from many regions. Ten percent of the population has either Rivera or Rodriguez as their last names making these 2 the most popular surnames in Puerto Rico. Seventy-four percent of the population has Spanish surnames, sixteen percent can trace their surnames to either Corsica or France while the remaining ten percent can be divided (in numerical order) between Ireland, Germany, Italy, Denmark, England among others. Emigration has been a major part of Puerto Rico's recent history as well. Starting in the Post-WWII period, due to poverty, cheap airfare, and promotion by the island government, waves of Puerto Ricans moved to the United States, particularly to New York City, Chicago, Boston, Orlando, Tampa, Philadelphia, and Hartford. This continued even as Puerto Rico's economy improved and its birth rate declined. Emigration continues at the present time, and this, combined with Puerto Rico's greatly lowered birth rate, suggests that the island's population will age rapidly and start to decline sometime within the next couple of decades. In the 2000 U.S. Census Puerto Ricans were asked to indicate which racial category they consider themselves. 95.8% answered with only one choice. The breakdown is as follows: 80.5% described themselves as " white"; 8% described themselves as " black"; and only 0.4% described themselves as "American Indian or Alaska Native" (the US Census does not consider Hispanic to be a race, and asks if a person considers himself Hispanic in a separate question). These figures demonstrate that racial terms are relative, not absolute, and highlight the potential for confusion when they are used in a definitive and distinct way. However the island suffers from very high levels of poverty, as of 2005, 50% of the population is living below the poverty line. Education in Puerto Rico is divided into four levels. These are elementary, intermediate, high school, and the college level. Students can attend either a public or a private school. According to the 2000 Census, 60.0% of the population attained a high school degree or higher level of education, and 18.3% has a bachelor's degree or higher. This ranks as worst and 6th worst, respectively, among US states, where the national averages are 80.4% and 24.4%. As of 2002, the literacy rate of the population was 94.1%. By gender, the literacy rate is 93.9% for males and 94.4% for females. Public schools are run by the Departamento de Educación Pública de Puerto Rico (Puerto Rico Department of Education) while private schools are run by private institutions, predominantly the Roman Catholic Church. The two public universities in Puerto Rico are the multi-campus University of Puerto Rico and the Colegio Universitario de San Juan operated by the city of San Juan. The largest private university systems on the island are the Ana G. Mendez University System (which operates the Turabo University, the Metropolitan University, and the Eastern University), the multi-campus Interamerican University, the Pontifical Catholic University, and the University of the Sacred Heart. Centro de Estudios Avanzados de Puerto Rico y el Caribe located in historic Old San Juan is a graduate level institution specializing in the study of Puerto Rico and the Caribbean. There are more than 600,000 students attending over 1,500 schools every year. With 45 thousand teachers the Department of Education is the largest employer in the island. The Teachers' Federation of Puerto Rico is the largest union which organizes all the permanent teachers within the public sector. The official languages of the island are Spanish and English. Spanish is the primary language of Puerto Ricans, though English is taught, as a second language, in schools from elementary levels to high school. As of 2006, an estimated 3,860,120 people use Spanish as their primary language; for 82,000, which is less than 2.2% of the population, English is their primary language. While relatively few Puerto Ricans use English as their main language, the large majority of residents living in metropolitan areas are bilingual, or at least understand and speak English to a certain extent. In 1991, Governor Rafael Hernández Colón signed a law declaring Spanish as the sole official language of the island's government. While many applauded the governor's decision, mainly members of the parties supporting commonwealth-status and independence, statehood supporters saw it as a threat to their cause. The signing of the law also brought the island acclaim, as the people of Puerto Rico won the prestigious Prince of Asturias Award in literature in 1991. The award is given annually to individuals and organizations worldwide for their defense and contribution to the growth of the Spanish language by Principe Felipe of Spain. Upon his election as governor in 1993, Governor Pedro Rosselló overturned the law and re-established English as an official language. This was seen by many as a move by the pro-statehood governor to move the island closer to statehood, something that never came about under his two consecutive four-year terms. The changes to the law in 1993 appear to have been largely ignored at the municipal level as most court proceedings and court documents are still in Spanish. Very few restaurants or stores outside of San Juan have menus or signs in English and parking tickets and police reports are still in Spanish. The Roman Catholic religion has been historically dominant and is the religion of the majority of Puerto Ricans, although the presence of Jehovah's Witnesses, various Protestant denominations and Mormons has increased under American sovereignty, making modern Puerto Rico an interconfessional country. Protestantism was repressed under the Spanish regime. For example, the first non-Catholic church, Holy Trinity Anglican church in Ponce, now a parish of the Diocese of Puerto Rico of the Episcopal Church of the United States, was not allowed to ring its church bell until American troops marched through Ponce after landing at Guánica harbour on July 25, 1898. There is a relatively small but diverse Jewish community in and around San Juan with a Reform, Conservative, and Orthodox house of prayer. There is as well a Muslim community with worship places in different parts of the island. The three main mosques are located in Rio Piedras, Ponce, and Vega Alta. Taíno religious practices have to a degree been rediscovered/reinvented by a few handfuls of advocates. Kongo belief, known as Mayombe or Palo, has been around since the days of the arrival of enslaved Africans. Although Santeria (stronger and more organized in Cuba) is practiced by some, Palo Mayombe (sometimes called an African belief system, but rather a way of Bantu lifestyle of Congo origin) finds more adherence among individuals who practice some form of African Traditional Religion. The government of Puerto Rico is based on the Republican system composed of 3 branches: the Executive branch headed by the Governor, the Legislative branch consisting of a bicameral Legislative Assembly (a Senate and a House of Representatives) and the Judicial branch. The legal system is based on a mix of the civil law and the common law systems. The governor as well as legislators are elected by popular vote every four years. Members of the Judicial branch are appointed by the governor and approved by the senate. Puerto Rico is divided into 78 municipalities, each of which elect a mayor and a municipal legislature. In 1950, the U.S. Congress afforded Puerto Ricans the right to organize a constitutional convention, contingent on the results of a referendum, where the electorate would determine if they wished to organize their own government pursuant to a constitution of their own choosing. Puerto Ricans expressed their support for this measure in a 1951 referendum, which gave voters a yes-or-no choice for the commonwealth status, defined as a ‘permanent association with a federal union’. A second referendum was held to approve the constitution, which was adopted in 1952. Prior to approving the new constitution, the Constitutional Convention specified the name by which the body politic would be known. On February 4, 1952, the convention approved Resolution 22 which chose in English the word “ Commonwealth ”, meaning a “politically organized community” or “ State”, which is simultaneously connected by a compact or treaty to another political system. 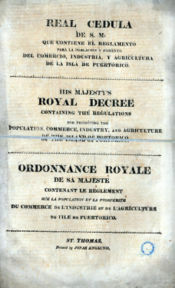 Unable to translate the word into Spanish, the convention adopted a translation inspired by the Irish Free State called “Estado Libre Asociado” (ELA) to represent the compact between the people of Puerto Rico and the United States, which is literally translated into English as “Associated Free State”. Under the 1952 constitution, Puerto Rico is a Commonwealth (use some benefits of the U.S.) and is permitted a degree of autonomy similar to that of a state of the Union, such an arrangement is known as federacy. Puerto Rico does not have voting representation in the U.S. Congress; neither does it have any electors in the U.S. Electoral College, and therefore Puerto Rican citizens do not participate in the U.S. Presidential elections, although political parties can, and do, have state-like voting delegations to the nominating conventions of both major national parties. A non-voting Resident Commissioner is elected by the residents of Puerto Rico to the U.S. Congress acting as a delegate of the people of Puerto Rico. While residents of the island do not pay federal income tax, Puerto Ricans do pay U.S. federal payroll taxes ( Social Security and Medicare). Puerto Rico residents are eligible for Social Security benefits upon retirement. Puerto Rico is excluded from Supplemental Security Income (SSI). Because Puerto Ricans do not pay federal income tax, Puerto Rico receives less than 15% of the Medicaid funding it would be allotted as a state. For Medicare, Puerto Rico pays fully but only receives partial benefits. As statutory U.S. citizens, Puerto Ricans may enlist in the U.S. military. Puerto Ricans have been included in the compulsory draft, when it has been in effect. Puerto Ricans have fully participated in all modern U.S. wars. For the past fifty years, Puerto Rico's political status vis-à-vis the United States has been the subject of much debate. A Commonwealth associated to the U.S. since 1952, the ideology of Puerto Ricans is represented by its political parties, which stand for the current relationship or the two distinct future political scenarios: the status quo, statehood, and independence. The Popular Democratic Party (PPD) seeks to maintain or improve the current status, the New Progressive Party (PNP) seeks to fully incorporate Puerto Rico as a U.S. state, and the Puerto Rican Independence Party (PIP) seeks national independence. In 1967, the Legislative Assembly tested political interests of the Puerto Rican people by passing a plebiscite Act that allowed a vote on the status of Puerto Rico. This constituted the first plebiscite by the Legislature for a choice on three status options. Puerto Rican leaders had lobbied for such an opportunity repeatedly, in 1898, 1912, 1914, 1919, 1923, 1929, 1932, 1939, 1943, 1944, 1948, 1956, and 1960. Following the plebiscite, efforts in the 1970s to enact legislation to address the status issue died in Congressional committees. In both the 1993 plebiscite, in which Congress played a more substantial role, and the 1998 plebiscite the status quo, Commonwealth status, was upheld. . In the last plebiscite, 46.5% of the population voted for U.S. Statehood, while only 2.5% voted for Independence. The majority voted for "none-of-the-above," which was considered to be a vote against statehood or independence (and for retaining or improving the current relationship with the U.S.). Although Puerto Rico is, politically speaking, an unincorporated territory of the United States classified as a Commonwealth , some Puerto Ricans refer to Puerto Rico as a país, the Spanish word for country. This is a common term used to describe dependent territories by the United Nations although on many occasions it has been thought of as a possibility that Puerto Rico would become the 51st state of the United States of America. The United Nations has in the past evaluated Puerto Rico's political status to ensure that the island's government complies with the standards of self-government that constitute the basic tenets of the United Nations Charter, its covenants, and its principles of international law. On November 27, 1953, shortly after establishment of the Commonwealth, the General Assembly of the UN approved Resolution 748, removing Puerto Rico’s classification as a non-self-governing territory under article 73(e) of the Charter from United Nations. The resolution garnered a favorable vote of fewer than 40% of the General Assembly, with over 60% abstaining or voting against it (20 to 16, with 18 abstentions). This resolution has not been revoked by the UN even though the political status is still debated in many international forums. "(a) Legislative representation. Representation without discrimination in the central legislative organs, on the same basis as other inhabitants and regions [within the governing nation]. (1) Is there an adequate and appropriate electoral and representation system? (2) Is this electoral system conducted without direct or indirect interference from a foreign government? (d) Government officials. Eligibility of officials from the territory for all public offices of the central authority, by appointment or election, on the same basis as those from other parts of the country". The General Assembly did not apply its list of criteria to Puerto Rico for determining whether or not self-governing status had been achieved. In fact, in a 1996 report on a Puerto Rico status political bill, the U.S. House Committee on Resources stated that Puerto Rico’s current status “does not meet the criteria for any of the options for full self government.” The House Committee concluded that Puerto Rico is still an unincorporated territory of the United States under the territorial clause, that the establishment of local self-government with the consent of the people can be unilaterally revoked by U.S. Congress, and that U.S. Congress can also withdraw at any time the American citizenship now enjoyed by the residents of Puerto Rico as long as it achieves a legitimate Federal purpose, in a manner reasonably related to that purpose. According to a report by the President’s Task Force on Puerto Rico’s Status, released in December 2005, it is not possible “to bind future Congresses to any particular arrangement for Puerto Rico as a Commonwealth”. This determination was based on articles in the U.S. Constitution regarding territories. The governor of Puerto Rico promised to challenge the task force report. On January 4, 2006, Governor Anibal Acevedo Vilá announced the steps that he and the governing Popular Democratic Party will take in the following months. The historic resolution denounces the task force as a political fraud that represents a threat to democracy and is in violation of the basic agreements held between the people of Puerto Rico and the United States since 1952. It also stated a compromise to challenge the task force report and validate the current status in all international forums including the United Nations. Also rejects any colonial or territorial status as a status option and vows to keep working for the enhanced commonwealth status that was approved by the PPD in 1998 which included: sovereignty, an association based on respect and dignity between both nations, and common citizenship. As part of the PPD's strategy, a bill supporting its position was introduced in the United States Senate by two senators who have traditionally been identified with Puerto Rico, Sens. Edward M. Kennedy (D-MA) and Bob Menendez (D-NJ) and two senators whose interest in all matters Puerto Rican was up to then unknown, Sens. Richard Burr (R-NC) and Trent Lott (R-MS). Since its introduction, the bill has not attracted any other co-sponsors, in spite of heavy lobbying on the part of Puerto Rico's Executive Branch lobbyists. A bipartisan Senate bill supporting the implementation of the White House report recommendations is expected to be filed shortly by Sens. Mel Martinez (R-FL) and Ken Salazar (D-CO). On the other hand, Resident Commissioner Luis Fortuño (R-PR) and Rep. Jose E. Serrano (D-NY) filed a bipartisan House bill to implement the recommendations, which has been cosponsored by over 60 Republicans and over 40 Democrats, significantly more cosponsors than the Young Bill which cleared the House in 1998. The House Committee on Resources called a hearing on the subject on April 27, 2006, signalling a greater degree of interest than previously anticipated. As an unincorporated territory of the United States, Puerto Rico does not have any first-order administrative divisions as defined by the U.S. Government, but there are 78 municipalities at the second level ( Mona Island is not a municipality, but part of the municipality of Mayagüez). Municipalities are subdivided into wards or barrios, and those into sectors. Each municipality has a mayor and a municipal legislature elected for a 4 year term. The first municipality (previously called "town") of Puerto Rico, San Juan, was founded in 1521. In the 16th century two more municipalities were established, Coamo (1570) and San Germán (1570). Three more municipalities were established in the 17th century. These were Arecibo (1614), Aguada (1692) and Ponce (1692). The 18th and 19th century saw an increase in settlement in Puerto Rico. 30 municipalities were established in the 18th century and 34 more were established in the 19th century. Only six municipalities were founded in the 20th century. The last municipality was Florida, founded in 1971. In the early 1900's the greatest contributor to Puerto Rico's economy was agriculture, its main crop being sugar. In the late 1940's a series of projects codenamed Operation Bootstrap encouraged, using tax exemptions, the establishment of factories. Thus manufacturing replaced agriculture as the main industry. The economic conditions in Puerto Rico have improved dramatically since the Great Depression due to external investment in capital-intensive industry such as petrochemicals, pharmaceuticals, and technology. Once the beneficiary of special tax treatment from the U.S. government, today local industries must compete with those in more economically depressed parts of the world where wages are not subject to U.S. minimum wage legislation. In recent years, some U.S. and foreign owned factories have moved to lower wage countries in Latin America and Asia. Puerto Rico is subject to U.S. trade laws and restrictions. Tourism is an important component of the Puerto Rican economy supplying an approximate $1.8 billion. In 1999, an estimated 5 million tourists visited the island, most from the United States. Nearly a third of these are cruise ship passengers. A steady increase in hotel registrations, which has been observed since 1998, and the construction of new hotels and new tourism projects, such as the Puerto Rico Convention Centre, are indicators of the current strength of the tourism industry. Puerto Ricans had a per capita Gross Domestic Product (GDP) estimate of $17,700 for 2004, which demonstrates a growth over the $14,412 level measured in the 2002 Current Population Survey by the Puerto Rican Legal Defense and Education Fund. In that survey, Puerto Ricans have a 48.2% poverty rate. By comparison, the poorest State of the Union, Mississippi, had a median level of $21,587, according to the U.S. Census Bureau’s Current Population Survey, 2002 to 2004 Annual Social and Economic Supplements. Since 1952, the gap between Puerto Rico's per capita income and U.S. national levels has essentially remained unchanged — one third the U.S. national average and roughly half that of the poorest state. Nevertheless Puerto Rico remains the most developed nation in Latin America based on data of the CIA Worldfact book. On May 1, 2006, the Puerto Rican government faced significant shortages in cash flows, which forced the closure of the local Department of Education and 42 other government agencies. All 1,536 public schools closed, and 95,762 people were furloughed in the first-ever partial shutdown of the government in the island's history. On May 10, 2006, the budget crisis was resolved with a new tax reform agreement, with plans to apply a temporary 1% tax input so that all government employees could return to work. On November 15, 2006 a 5.5% sales tax was implemented. Municipalities have the option of applying a municipal sales tax of 1.5% bringing the total sales tax to 7%. Puerto Rican culture is a mix of four cultures, African (from the slaves), "Taíno" (Amerindians), Spanish, and, more recently, North American. From Africans, the Puerto Ricans have obtained the " bomba and plena", a type of music and dance including percussions and maracas. From the Amerindians, Puerto Ricans have kept many names for their municipalities, food, and other objects. From the Spanish they got the Spanish language, the Catholic religion, among other influences. From the United States they received the English language, the university system, consumption practices, fast food, and a variety of hybrid cultural forms that developed between the mainland and the island. 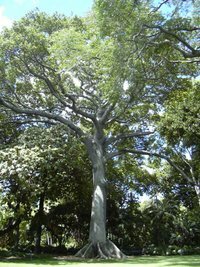 The official national symbols of Puerto Rico are bird, Reinita mora ( Spindalis portoricensis), flower, Flor de Maga ( Thespesia grandiflora), and tree, Ceiba or Kapok ( Ceiba pentandra). The unofficial national animal is the Coquí ( Eleutherodactylus coqui). Another popular unofficial symbol of Puerto Rico is the " jibaro". Puerto Rico has its own representatives in international beauty pageants including Miss World and Miss Universe. Puerto Rican beauty queens have won the Miss Universe pageant five times (1970, 1985, 1993, 2001, 2006), second only to Miss USA, and the Miss World pageant once (1975). The island's contestant was second-runner up in the 2005 Miss World pageant, and held the title of Miss World Caribbean the same year. 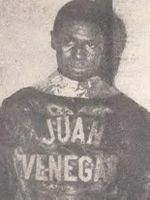 Juan Evangelista Venegas, winner of the first Puerto Rican Olympic medal. Puerto Rico has an Olympic team in the Summer Olympic and the Winter Olympics, as well as international representation in many other sporting events including the Pan-American Games, the Central American and Caribbean Games, and the Caribbean World Series. Puerto Rican athletes have won 6 medals (1 silver, 5 bronze) in Olympic competition, the first one in 1948 by boxer Juan Evangelista Venegas. Puerto Rican professional tennis player Beatriz "Gigi" Fernandez won a gold medal in tennis doubles competitions, representing the United States Olympic Team. Although boxing, basketball, volleyball and baseball are popular, traditionally baseball had been the most popular sport, until recently being overcome by basketball. Puerto Rico has its own professional baseball leagues. San Juan hosted the Montreal Expos for several series in 2003 and 2004 before they moved to Washington, D.C. and became the Washington Nationals. Puerto Rico has participated in the World Cup of Baseball winning 1 gold (1951), 4 silver and 4 bronze medals. August 8, 2004, became a landmark date for Puerto Rico's national olympic team when the basketball team of Puerto Rico defeated the U.S. basketball team in Athens, Greece, the defending gold medalist and basketball powerhouse in Olympic play. On September 29, 2005, Major League Baseball (MLB) announced that San Juan's Hiram Bithorn Stadium would be one of the sites of the opening round as well as the second round of the newly formed World Baseball Classic, a 16-country tournament featuring top players, which was held in San Juan in March 2006. Puerto Rico fielded its own team in that event, composed mostly of MLB players, which survived the opening round but was defeated in the second round. Professional wrestling has enjoyed much popularity in Puerto Rico for a long time. Matches have been televised since the 1960s, and multiple, non-televised matches are held each week across the island. The World Wrestling Council is the main wrestling promoter in Puerto Rico. Famous Puerto Rican wrestlers have included Barrabas, Carlos Colon and his son, Carlito, Los Invaders, Savio Vega, WWE Hall of Famer Pedro Morales, and Los Super Médicos. Many World Wrestling Entertainment stars, such as Randy Savage, and Ric Flair have fought in Puerto Rico. Women's wrestling has been gaining popularity in Puerto Rico since the 1990s. Tren Urbano at Bayamón Station.